You will have access to ALL ADVANCED SYSTEM FEATURES AND MODULES as well as to an UNLIMITED AMOUNT OF PERSONALISED EMAIL ADDRESSES. Management of Social Media accounts – Facebook only. 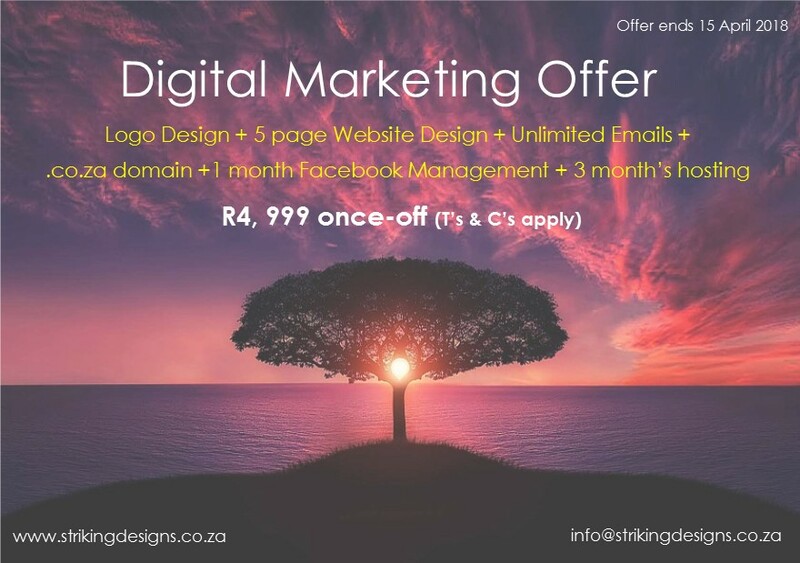 Initial ONCE-OFF SETUP FEE which INCLUDES the design of your website – all content and additional web-related graphic enhancement as well as document formulation. Google Analytics, Basic SEO included. Terms: This promotional package is subject to a maximum of 10 registrations. 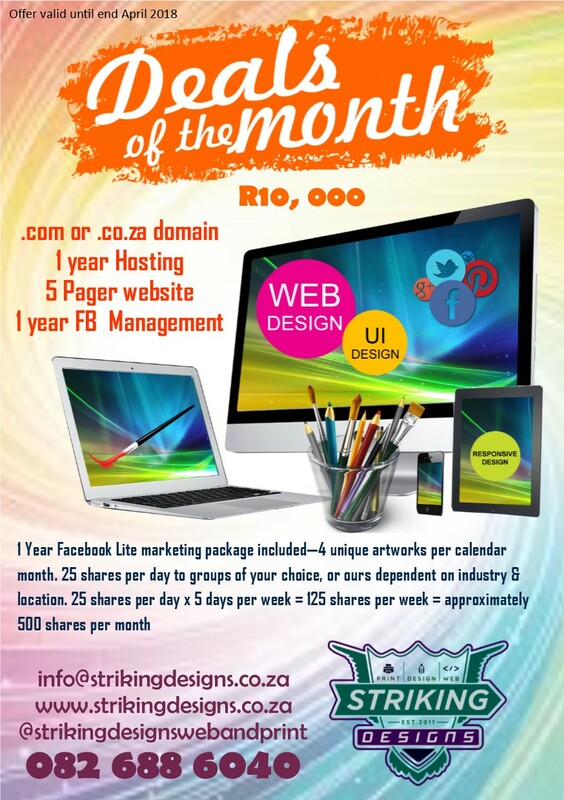 10 clients or 30 April – whichever comes first. First come, first serve.